At Five Star, you are more than a borrower. Whether you are a couple buying your first home, a current homeowner renovating to create your dream home, or building a new forever home, Candice will create a lasting relationship to help you achieve your mortgage/financial goals. She forms friendships that last beyond the closing table. She always likes to say, “I am only successful when you have a wonderful experience and feel comfortable referring your friends and family.” Candice is diligent and hardworking. She promises to exceed your expectations while helping you get the best rate and loan specialized just for you. Candice has been in the mortgage industry for 13 years; all with Five Star Credit Union. Her knowledge in understanding the mortgage market and process means that when you obtain a mortgage with Five Star Candice will ensure it fits your needs and your budget. Five Star serves members in Alabama and Georgia through 15 branches, Candice has the experience and knowledge to ensure a smooth mortgage process in both states. Having grown up in the Wiregrass area, Candice attended Wallace Community College and Troy State Dothan. Living an active life, Candice enjoys the beaches, lakes, and all that the Dothan area has to offer. She believes in giving back, as well. 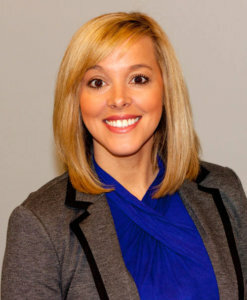 She is active in the Dothan area young professionals. This also provides opportunities to volunteer with many local organizations. She lives in Dothan with her husband and daughter. “I appreciate all your help with the refinancing. I don’t know what I’d have done without you and Codie! Thanks again for your help (and patience)!” Dothan member.